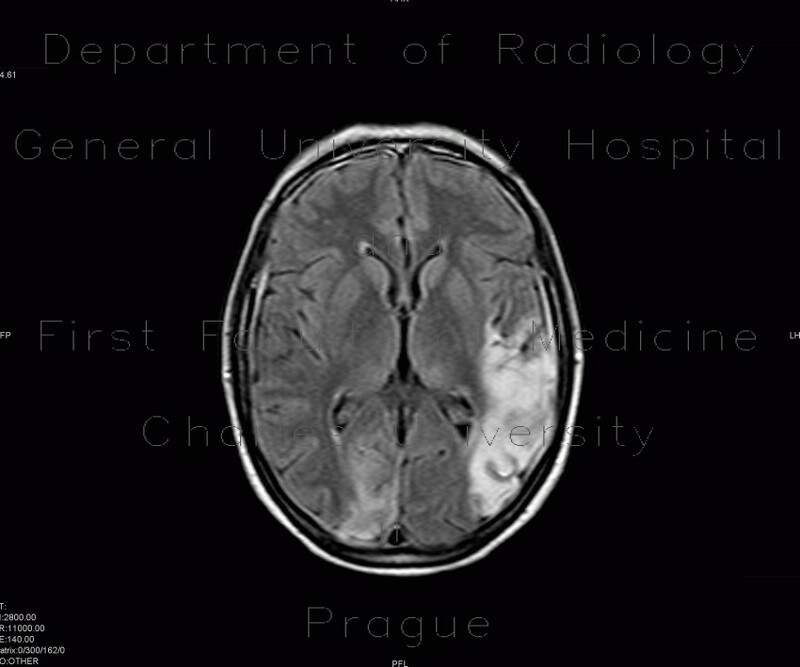 A large area of increased signal intensity on FLAIR and T2W images can be seen in the area of the left middle cerebral artery (MCA). This corresponds with decreased intensity on a ADC map. Small ischemic focus can be seen in the right occipital lobe as well.